The California Department of Health Services (DHS) requires water providers to conduct a source water assessment to help protect the quality of future water supplies. This assessment describes where a water system’s drinking water comes from, the types of polluting activities that may threaten source water quality and an evaluation of the water’s vulnerability to those threats. To meet the DHS requirements and provide our customers with information about our customers with information about our water supply, the district completed its surface water assessment in May 2003 and its groundwater assessment in July 2003. 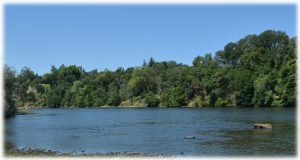 Percholorate, nitrosomodimethylamine and volatile organic, chemicals discharged into the American River by the Aerojet General Corporation. Aerojet is under the joint regulatory oversight of the EPA, California Department of Toxic Substance Control and the California Regional Water Quality Control Board. A copy of complete assessment is available for inspection at the Carmichael Water District office.